The main reason for our making this trip basically begin at Fanjeaux instead of the more normal end at Fanjeaux, was for Francine to investigate the mountain spring flowers in the Pyrenees. Mountains being what they are, such excursions must be planned to coincide with clear weather, of course. Today’s forecast was grand and looked like our best chance yet so we set off early to maximise our time at our chosen first likely spot and one of our favourites, the plateau at Soulcem. After a 90-minute drive we arrived and parked. On the last 30 minutes of the drive climbing up the valley to the barrage [dam] we’d both been thinking, “don’t seem to be masses of flowers beside the road” but saying nothing. Once at the plateau and while we were getting our cameras ready, there didn’t seem to be masses of flowers either; how disappointing for Francine. Streaking female actors aside, here’s what we really came here for. The flowers may not have put in a appearance en masse but the trip wasn’t a complete blank. 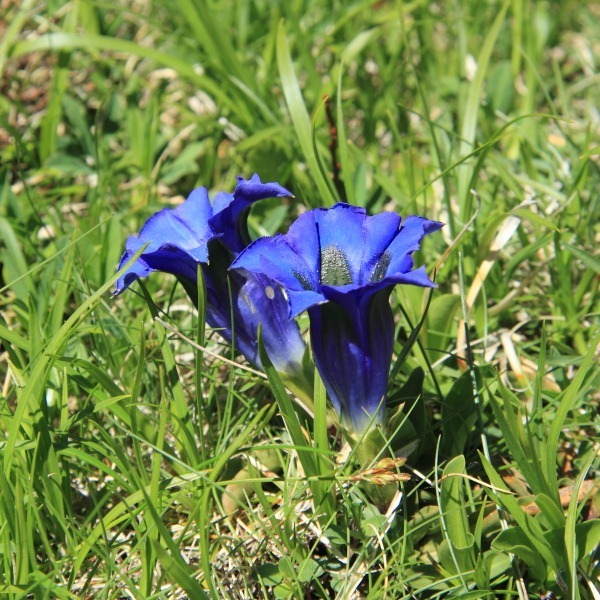 After naked lady excitement, we wandered off up the valley to the high pasture and Francine was very happy to see several stunningly blue Gentians, probably Southern Gentian (Gentiana alpina). 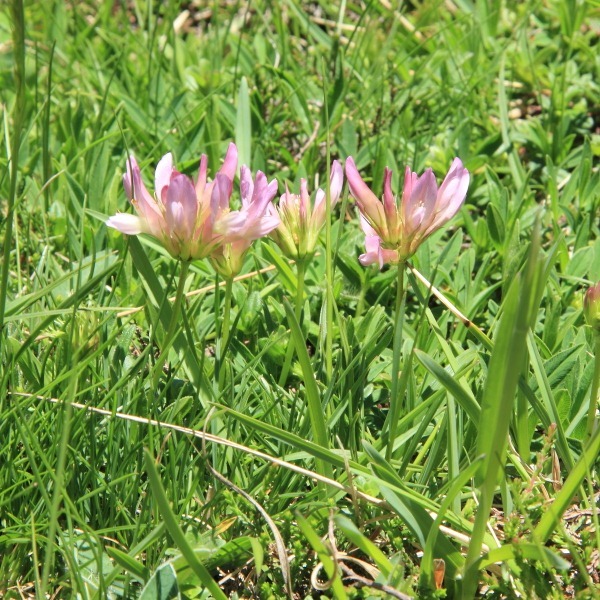 Francine’s other floral find was this rather delicate-looking Alpine Clover (Trifolium alpinum).